JPEG or JPG is the format typically used by most non-professional digital cameras to shoot photographs. So it is definitely the most wide-spread extension you will find photos in. 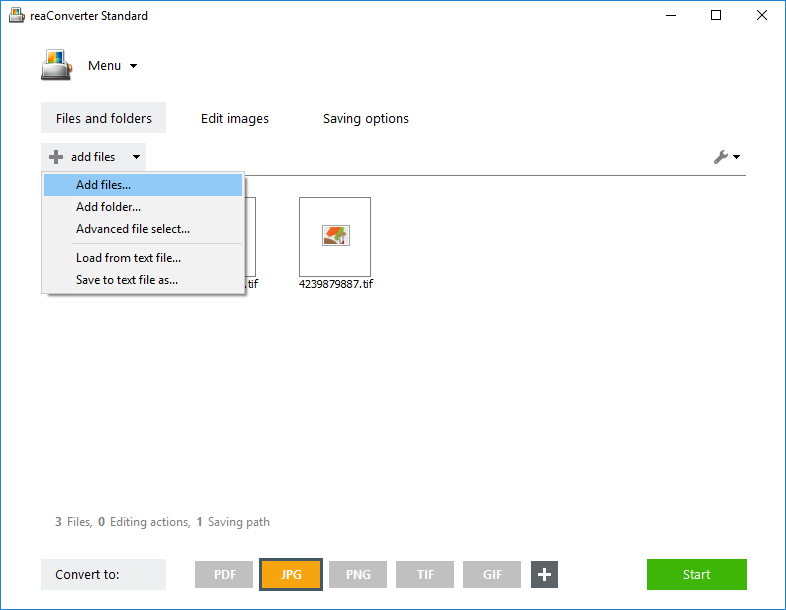 The advantages of JPEGs are size — which tends to be small, and transferability — which means you can easily store and e-mail such files. Also, most browsers do not require special applications or plug-ins for viewing JPEGs, and this format is compatible with all photo sharing websites. 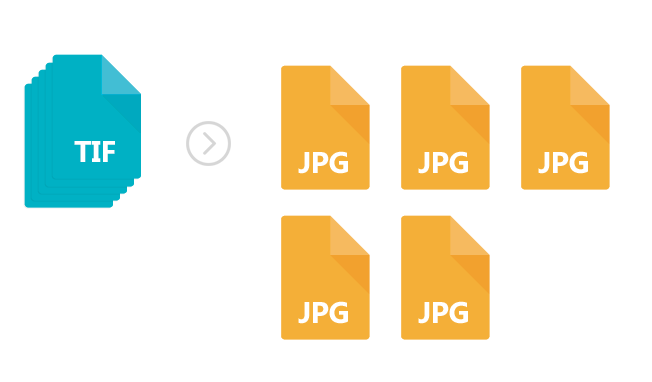 Hence, if you are interested more in easily uploading your files on Internet and care about how much space they take on your computer, than JPEG is what you need. If, on the other hand, you care more about the quality of your image, especially in case you plan to print it, you might prefer the TIFF format. 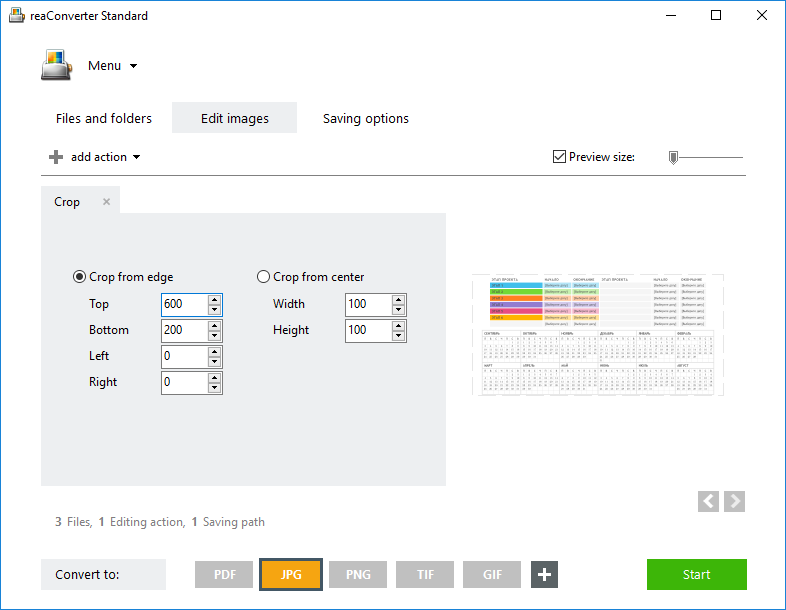 While JPEGs provide a “lossy” compression of the image, which translates in a lower image quality, TIFFs (Tagged Image File Format) can ensure a “lossless” compression, or in other words reproduce the photographed/scanned image with more accuracy. This means that TIFFs tend to be larger in size, but will also look a lot better when printed than JPEGs. 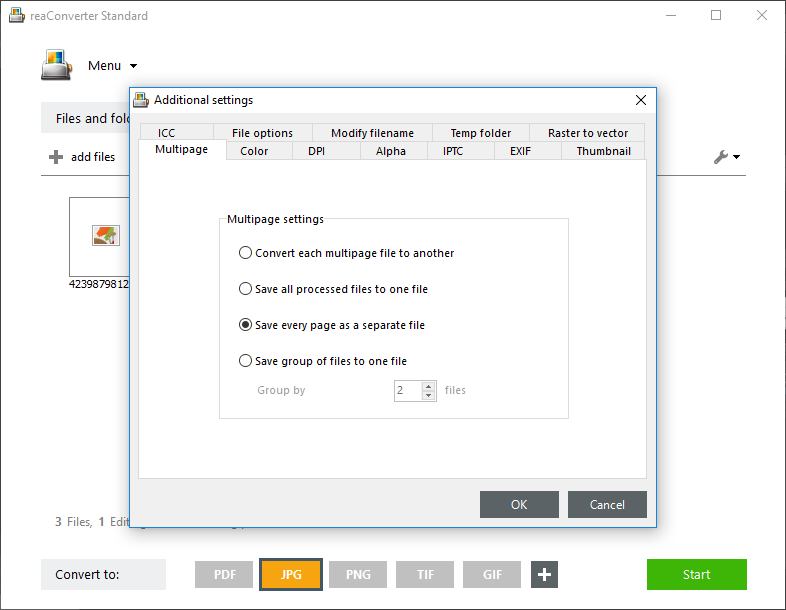 Download and install reaConverter Lite, a quality piece of software that supports conversions from TIF to JPG in batch mode. You will notice it does not take too much space on your computer, it has a user-friendly interface and is available for free. Load all the TIFF files you need to convert. As opposed to most free online converters, reaConverter supports batch conversion, which means you will not have to do the same operations over and over again, thus saving time and energy. 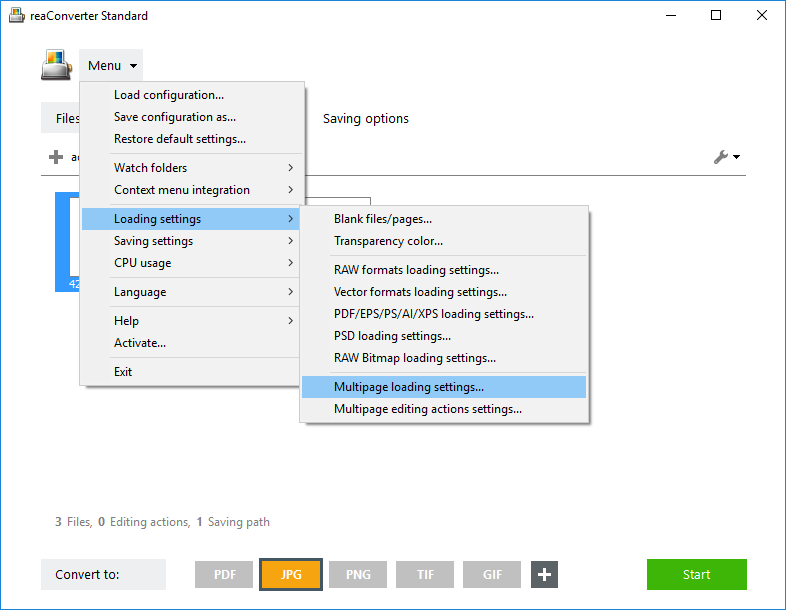 Select multi-page loading options from Menu → Loading settings, if you want to convert all the pages from the multipage TIFF, or just some of them. 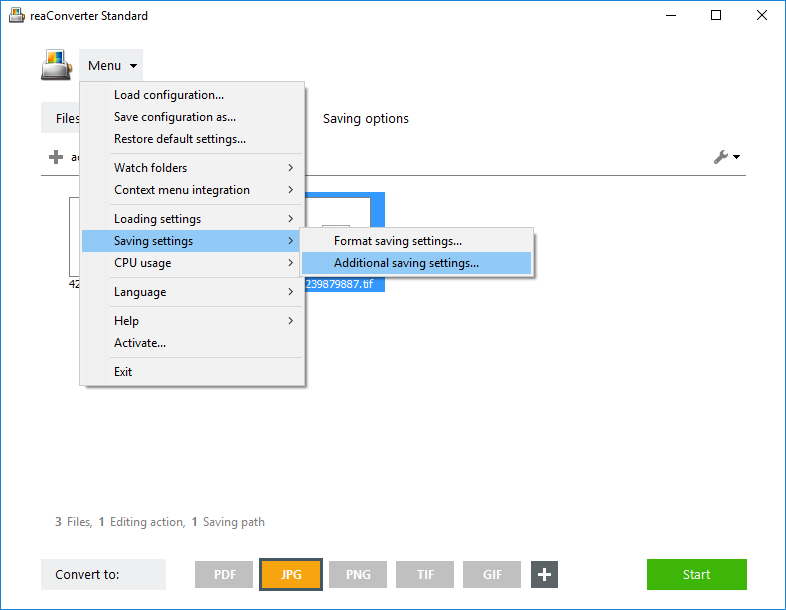 You can also select additional multi-page saving settings from Menu → Saving settings → Additional saving settings → Multipage. Optionally, you can select editing actions you want to apply to your images from Edit images tab. Resizing, rotating, cropping and watermarking are just some of the available options. All editing will be applied to every TIFF page you convert. 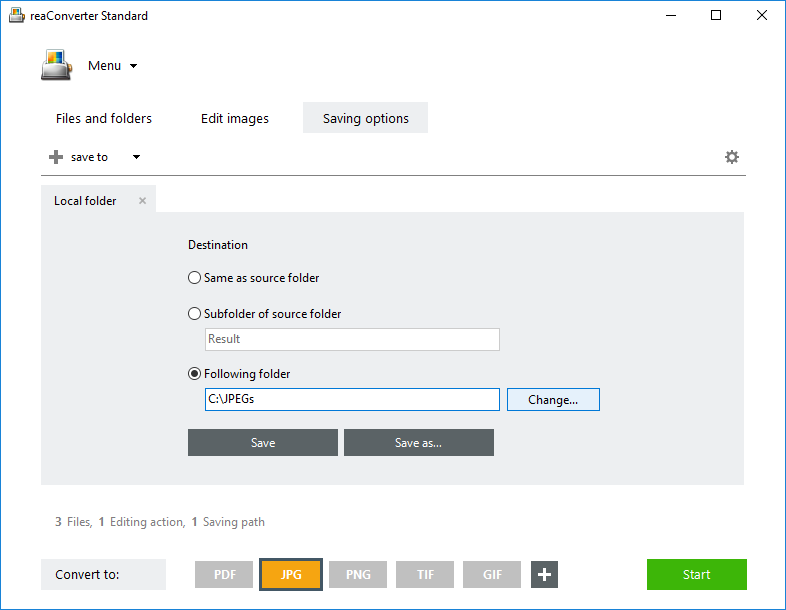 Go to Saving options tab to select the destination folder and the JPG as output format of the converted files. Then Start the conversion and enjoy your new separate JPEG images! 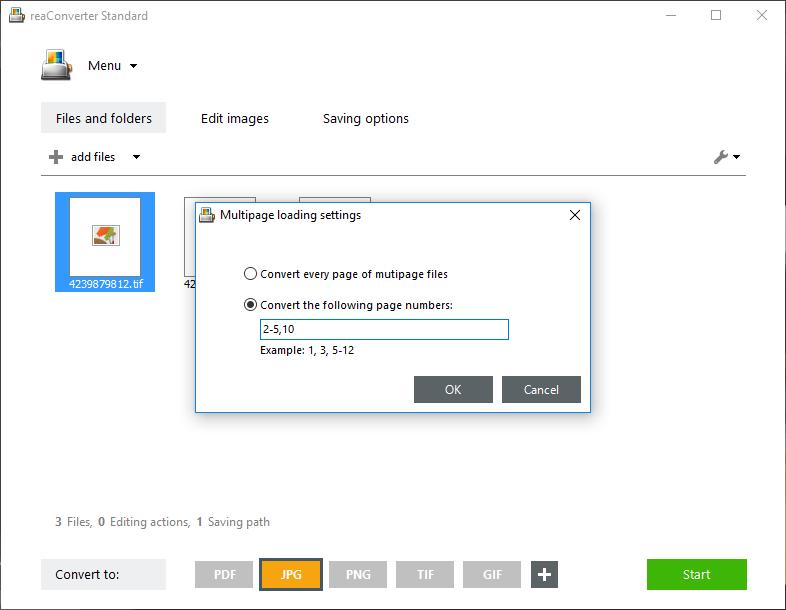 Advanced users can convert multipage TIFF files to JPEG batch using command line interface or DLL in manual, automated or scheduled mode. You are welcome to contact our technical support when you have any questions about reaConverter.